When it comes to maintaining the cleanliness of your property, you must be very particular in the choices you make especially if you are to hire professional cleaning companies. When it comes to hiring these professional cleaning companies, you have to look for the right company that will offer you with the best cleaning services. It is advisable to go for the company that will satisfy your needs in the best way possible. This will be however, determined on whether they will be coming to clean your residential home or your commercial office. Below is a comparison of these two types of cleaning services and the companies that you ought to hire for each one of them. This type of spring cleaning involves the cleaning of a large area where business are normally based like offices. In order to get the best office cleaning services, you should always hire the most reputed and also certified office cleaning company. It would also be a better idea to hire their cleaning services early in order to pay better prices as they tend to go higher as the spring season comes to a close. It is also important to ensure that the company you hire to clean your offices is highly experienced in this line of work. It should also be using the best and latest equipment to do their work. This way it will be capable of washing your surfaces, dusted and the floors well vacuumed and mopped. This will ensure that every corner of your office is properly cleaned. There are various cleaning types that are available for commercial offices depending on the different needs people have in their own offices. Below are some of the common offices cleaning packages available? When you need a customized spring cleaning to be carried out in your office, you should look for a well reputed company that offers this type of cleaning services. They should be able to offer a thorough, reliable and consistent service that will include a number of tasks. This would include emptying the office cabinets of all their contents and cleaning the insides of the cabinets. Your meeting rooms will also be cleaned thoroughly inside to make them clean as they are often washed in a hurry. The painted and often touched areas like window frames, doors and walls should also be well cleaned. 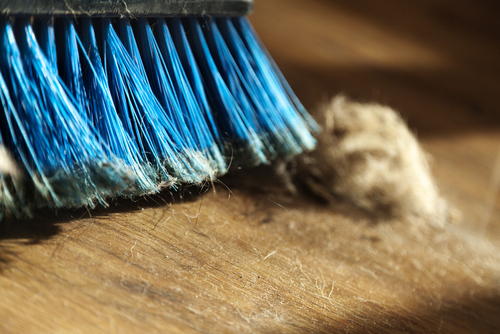 The skirting boards present in the office should also be thoroughly cleaned. This type of cleaning is often handled by skilled professionals who are highly experienced in this type of cleaning. It involves the thorough cleaning of all the surfaces in your office including the deepest corners that are hardly cleaned in the normal clean up exercises. Deep cleaning leaves no stone unturned inside your office as everything and every part is subjected to thorough cleaning. This will leave the entire office space looking sparkling clean and smelling fresh. Many times due to the busy schedule most working people in Singapore lead, it is possible that they do not get adequate time to even arrange their files well. It is also possible that there will be a lot of other items in the office that are not in use anymore but they lie around the office. As you search for the best office cleaning company, it is always advisable to find out whether they offer services in file arranging and de-cluttering the office. The cleaners will help in arranging your files and filing cabinets in the way that you need them to thereby making your office look presentable. They will also help you in removing all the unnecessary items from the office. A clean residential home is usually the best way to show case how an individual maintains themselves and also how they enhance their personality. 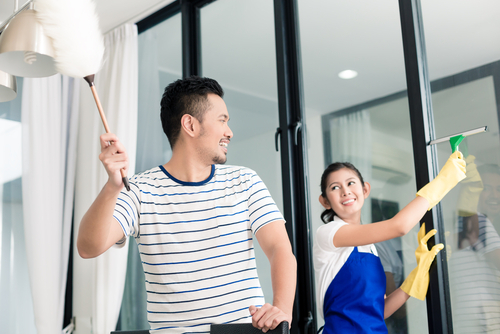 Before you go out to look for the best company to offer home cleaning services in Singapore, you should have a checklist. You should aim at getting your house sparkling clean from the professional home cleaning company you hire. You ought to consider their prices before you hire their services in order to get the most competitive rates. Other factors that you should consider include their experience, equipment, cleaning methods, availability and referrals you get among others. What will be cleaned during the Home Cleaning exercise? The professional cleaners will help you deal with the clutter inside your house properly. They will help arrange your house in a more organized way as it helps you to manage clutter rather easily. After this aspect is sorted, the rest of the house cleaning becomes much easier. Dusting ought to be the next item on the list to ensure that all parts of the house are properly dusted as they catch dust fast during the long winter. Your curtains should also be cleaned either by the cleaners or you could opt to take them to the dry cleaners. You should ensure that your windows, blinds and the grills are properly wiped and also cleaned well. After that you should consider the walls being cleaned especially in the case where you have children who could have written on them or even poured paints on them. You should make sure that the professional cleaners get rid of all the stains and paints on the walls that make it look dirty. Ensure that all the walls and corners of the house including the bedroom are cleaned and cobwebs that could be there removed. In Singapore, houses gave different types of flooring surfaces that have their own unique way of cleaning. The method to be used should be the one that is recommended by the manufacturers. 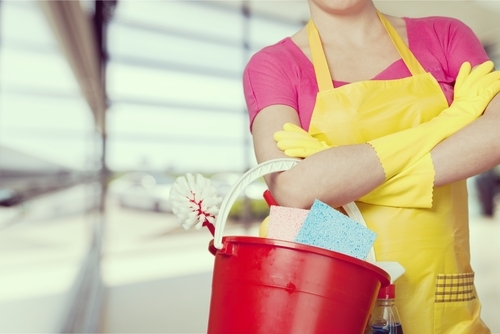 Ensure that the cleaners use the proper cleaning tools and detergents to clean the floor spotlessly. If the flooring involves carpets, ensure that they first of all get rid of the stains and then clean and vacuum them properly. Toilets and washrooms are also supposed to be cleaned well during the spring cleaning exercise. Ensure that the right chemicals are used and they ought to be poured inside it and left to sit there for a while before the stubborn stains are then scrubbed off. The tiles in the washrooms and toilets should also be cleaned thoroughly. This is usually the most important part of the house and the most crucial one and that means it demands extra special attention. Every part of the kitchen ought to be properly cleaned from the walls, to the counters and the sinks. This will make it look clean and also hygienic so as to protect the health of the people in the house. All the above are the different aspects that are involved in the commercial spring cleaning and the residential spring cleaning processes. All in all you ought to ensure that a highly reputed and experienced cleaning company is hired to do the job. This will offer you the best results in the end.